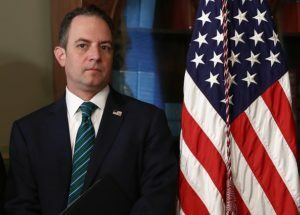 Reince Priebus Net Worth 2018 – How Rich is the White House Chief of Staff? As a member of Donald Trump’s White House staff, Reince Priebus is undoubtedly the center of a lot of media attention. 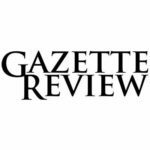 His previous work in politics had to do with the Republican party in Wisconsin and with the Republican National Committee. Although these are certainly prestigious positions, becoming the White House Chief of Staff is obviously a very large step up. How much money does he make now? How did Reince Priebus Make His Money & Wealth? Reince Priebus was born in March of 1972 in Dover, New Jersey. He grew up New Jersey for most of his early childhood, until he and his family ended up moving to Green Bay, Wisconsin, when he was still in elementary school. Reince grew up in a relatively humble home, with his father being an electrician and his mother being a real estate agent. Priebus showed interest in politics at a very young age. He volunteered for a political campaign when he was just sixteen years old, while he was attending Tremper High School. 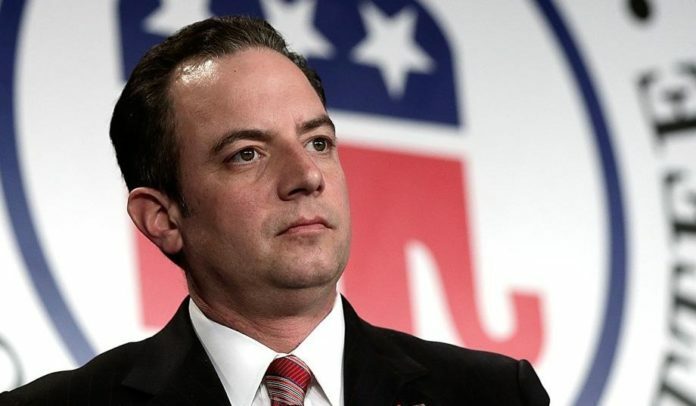 Priebus graduated from Tremper in 1990, and he went on to go to college at the University of Wisconsin-Whitewater to further his political education. As it turns out, Reince really thrived in an academically competitive environment. He graduated from the university in 1994, having majored in both English and political science, and for a period of time he even served as the student body president. He was still young, but he was doing big things for himself. Once he left the University of Wisconsin-Whitewater, he entered the workforce right away. At first, he was a clerk for the Wisconsin State Assembly Education Committee. For a lot of people, that would be a perfectly okay place to settle down for the rest of their lives. However, Reince had his eyes on an even greater prize. He moved all the way to Florida to study at the University of Miami School of Law. Even while he was studying for this degree, however, Priebus kept hard at work, gathering experience with the Wisconsin Supreme Court, the Wisconsin Court of appeals, and even the NAACP Legal Defense Fund. He graduated from the University of Miami in 1998 with his juris doctor degree, and again, he had been elected student body president prior to that. Although Reince seemed to enjoy his time in Florida, he made the decision to go back to his home state of Wisconsin and become a member of the state bar there. He practiced law with Michael Best & Friedrich LLP, a firm based in Wisconsin. Around this time, he started to show an interest in entering politics in a major way. He ran for state senate in 2004, but lost by a narrow margin to Robert Wirch. 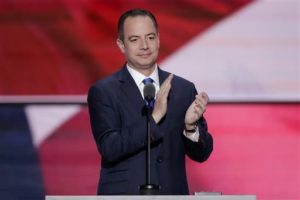 Despite this perceived failure, Reince kept his head down and kept working, and he became the chairman of the Wisconsin Republican Party in 2007. He was only 35 years old when he was elected to this position, making him the youngest chairman in the Wisconsin Republican Party’s history. Just a couple of years later, he also became the general counsel for the Republican National Committee. Really early on, Priebus showed that he was adept in his work. Under his leadership, the Wisconsin Republican Party was highly successful during 2010’s elections in Wisconsin. The state was held by the Democratic Party prior to this election, but with Priebus, the Republican party was able to win control of both the senate and assembly. Not only that, but a Republican was elected governor of the state. Reince was obviously a huge success in this position, but he ended up stepping down very shortly after the November 2010 elections. He still wanted to climb the political ladder in the Republican party, and he decided to run for the position of chairman of the Republican National Committee. His primary competition came in the form of Saul Anuzis and Maria Cino. In 2011, he was officially elected into the position. Although Priebus inherited a troubled Republican party, he made the most of it. Following the 2012 Republican election, where Republican candidate Mitt Romney failed to defeat Democratic candidate Barack Obama, Reince urged the party to become more considerate of young, female, and Hispanic voters. He called for bipartisanship and increased inclusivity. During the 2016 election, he was initially critical of Donald Trump, feeling that he was overly abrasive and offensive during his campaign. However, once Trump was named the Republican nominee, he became significantly more supportive. Following Trump’s election, the president announced that he would be making Priebus his Chief of Staff. As Chief of Staff, he is the highest ranking employee of the White House, and he is essentially the president’s private secretary. Reince Priebus is married to Sally Sherrow. The couple met when they were just teenagers, and they officially tied the knot in 1999. Sally and Reince have two children together. As an employee of the White House, Reince Priebus is technically a public servant. As a result, his salary is completely public information. How much does Priebus make, exactly? His salary is comparable to the salary of other White House employees, such as Press Secretary Sean Spicer, Senior Adviser Steve Bannon, and Counselor Kellyanne Conway. He makes a little under $180,000 per year as the Chief of Staff. That may not be as much as he would make as a hotshot lawyer or something, but sometimes a lower salary is a sacrifice that one has to make if they want to work in this kind of position. How much does Reince Priebus make per day? Using Reince Priebus’s salary, which we already know to be about $180,000 per year. With some very basic math, we can easily calculate Reince Priebus’s daily income. In a year consisting of 365 days, Priebus makes about $500 per day. Previous articleSkai Jackson Net Worth 2018- How Much Does She Really Make? What high school newspaper reporter wrote this disgustingly brown-nosed piece? Use some very basic math and ask yourself how much money you’ve earned as a reporter. If anyone paid you for this piece, it was Reince himself. Give it up and go work in an ice cream shop, pal.